(2002/ACE) 28 tracks Class/Rendevous 1957-61 w.12 page booklet. I met and interviewed Bobby Day, and saw him perform, in 1989. Sadly he died almost exactly a year later. This CD reminds us what a huge loss that was. His personality was what you might imagine from his songs - bright, friendly, patient and humorous. Above all he was highly talented, from a church background: 'I remember what I liked about it - it wasn't the preaching, it was the singing!' He was steeped in the bustling 50s Los Angeles record and club scene, writing, recording and performing within a complex weave of labels, groups and names. 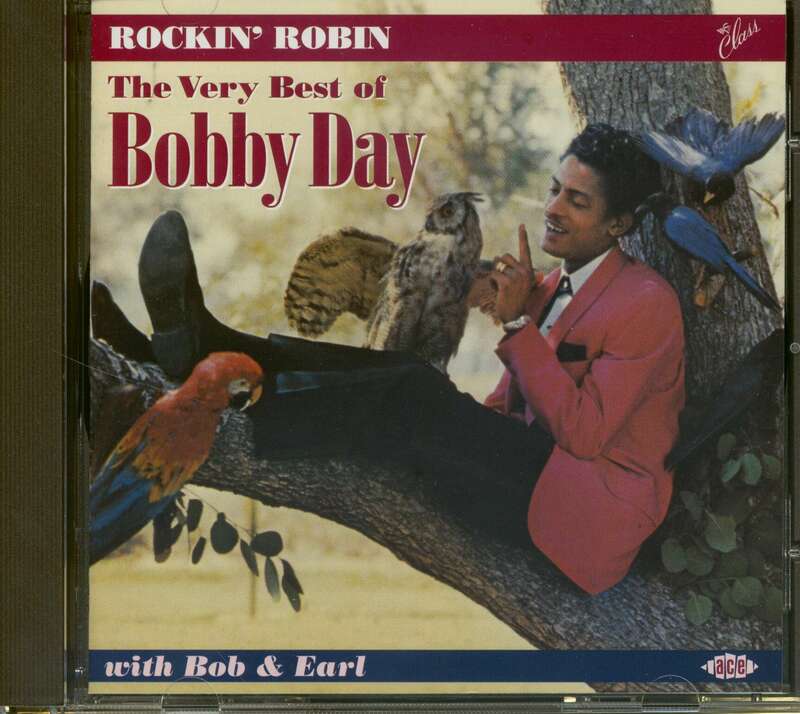 Though Rockin' Robin wasn't written by Bobby Day, many of the tracks here were. There were chart hits too: Little Bitty Pretty One (a #57 hit for Bobby but a bigger success for Thurston Harris at #6 - 'I wanted something that anybody will hum when they hear it')-.-Over And Over (covered furtively by Aladdin Records again with Thurston Harris - 'they recorded [it] that very same day')-.-That's All I Want and Gotta New Girl. Bobby also co-wrote some early Bob & Earl recordings here: novelty-rockers You Made A Boo Boo and Sweet Pea, and the melodic-and-catchy When She Walks. The talented Earl (Nelson) was a Hollywood Flame and sang lead on their big hit Buzz Buzz Buzz. Bobby and he'd use multi-tracking together: 'I would sing two parts... Earl would sing one... [like] a trio'. Highly creative, Bobby 'built' songs at home with 'two tape recorders... (taking) one and sing(ing) along with this into the other'. 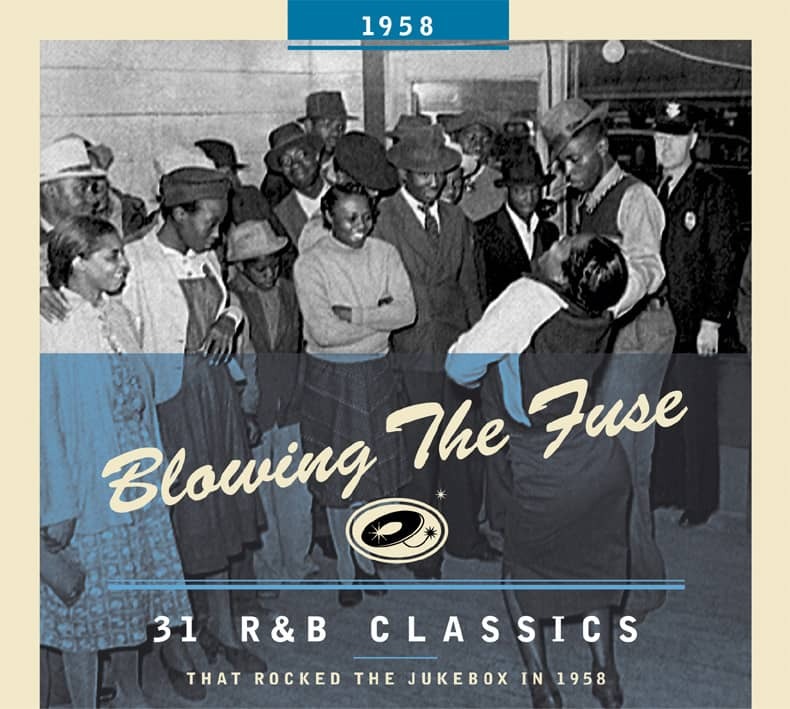 These highly enjoyable recordings feature the cream of West Coast sessioneers - Plas Johnson, Jackie Kelso, Rene Hall, Ray Johnson, Red Callender, Earl Palmer etc - plus vocal groups like the Satellites, the Hollywood Flames and the Blossoms. Stuart Colman's well-researched liner notes, based on an interview with Bobby, provide track-by-track information plus wider insights. 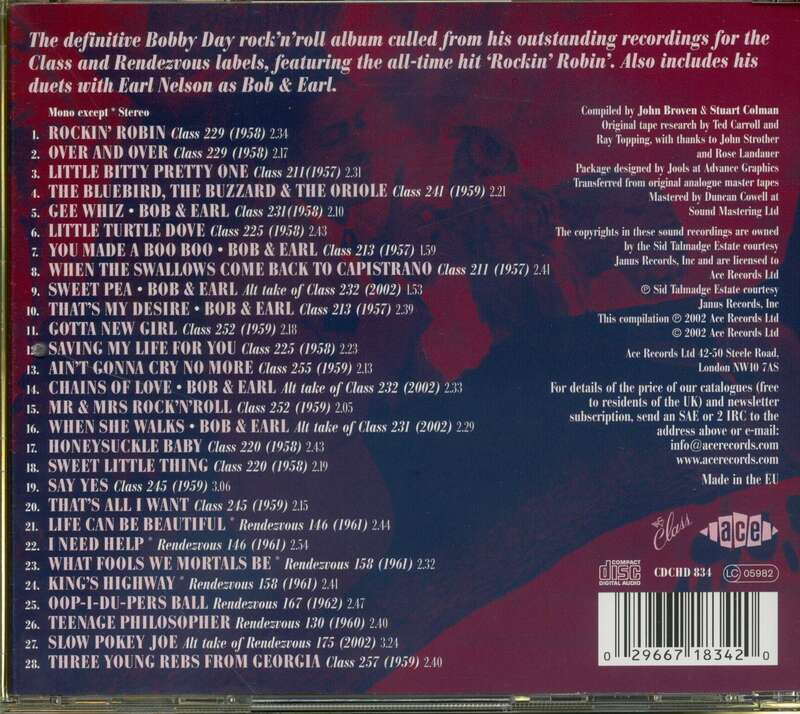 Added to this, the booklet is lavishly illustrated with photographs and memorabilia-.-and the CD is mastered from first generation tapes, giving the best-ever sound on a Bobby Day release. It's a long-overdue retrospective, maybe all the more enjoyable for that. One to keep you out-boppin' the Bluebird, the Buzzard, the Oriole - and Rockin' Robin! We have already heard once from Bobby Day on this compilation as a member of the Hollywood Flames. Later that same year, he emerged as a solo artist on Class Records. Born in Fort Worth, Texas in 1930 (although he usually claimed 1932 or 1934), Robert James Byrd moved to Los Angeles in 1947, and began his performing career at Johnny Otis’ Barrelhouse Club. Surely the first rock ‘n’ roll record with a piccolo, Rockin’ Robin was one of those tunes that, once heard, followed you around, demanding 89 cents. The co-writer of Rockin’ Robin, incidentally, is ‘Jimmie Thomas’ aka Class Records’ owner Leon Rene. The other side of the record, Over And Over, was just as good. It was just one of the 65 singles on 23 different labels that Bobby Day cut during the Fifties. As noted, Day wrote and recorded the original version of Little Bitty Pretty One, but Thurston Harris scooped him. With unimaginable effrontery, Harris then covered the flip-side of Rockin’ Robin, the equally memorable Over And Over, but Day laughed last by promoting what had been his flip-side all the way to #2. That was 1958, which proved to be his career year, but sadly the last good year. Day temporarily relocated to Australia before settling in Florida. Although his records were no longer selling, his songs were often revived, with Dave Clark taking Over And Over to the top in 1965, Michael Jackson taking Rockin' Robin to #2 in 1972, and the Jackson Five reaching the Top 20 with Little Bitty Pretty One in 1972.